The highly public love affair of French singer-songwriter Serge Gainsbourgand British actress Jane Birkin captured the hearts and imaginations of a generation. The moment Jane and Serge met on a movie set in 1968, sparks flew. They would spend the next 12 years together, a passionate union that produced the controversial duet "Je t’aime... moi non plus" (whose explicit lyrics and orgasmic moans caused so much fuss that the Vatican declared it offensive) and, in 1971, the legendary album Melody Nelson as well as a daughter, Charlotte, who has become a successful actress in her own right. From the time Jane and Serge met until they split in 1980, Jane’s brother Andrew Birkin was a frequent presence in their lives; an avid photographer, he snapped thousands of candid family photos during those years. Birkin’s pictures—almost all of which have never been published—offer a rare view of daily life for the couple, bringing us back to a place and time we have long idolized. 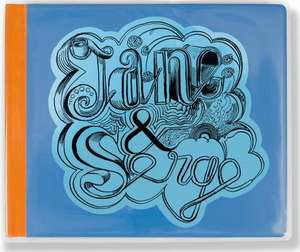 Though more than 30 years have passed since the two parted ways, and over two decades since Serge parted from this world, the passion for Jane and Serge has endured. This treasure trove is sure to fan the flames of its undying embers.